We have very often found the case of clients that, some time ago, have invested into an off plan property that was never built or delivered in time. It is not strange to find out that the developer went bankrupt sometime ago, leaving an empty plot, or in the best case, an unfinished property. When the financial crisis struck in 2008, many developers collapsed, leaving housing projects unfinished. Most new developments were sold off-plan. Property-buyers who had put down cash deposits were at the end of the list of creditors, and thousands lost their money. Until recently, whenever we found this situation, we have been continuously advising that there was not a clear & effective legal solution to recover these moneys. This fortunately, has changed dramatically for the better. After a a Supreme Court ruling in Spain last year, for the last 14 month, The Spanish Courts have been continuously confirming that the bank where the moneys were deposited were legally bound to guarantee those funds to the purchasers. In case that the development did not get completed in time, or that the developer went bankrupt or alike. 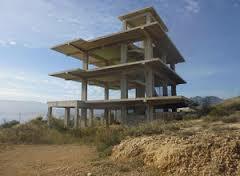 Just as an example, Banco Popular, BBVA, Banco Mare Nostrum and Valencian Building Society S.G.R. have been ordered to pay over 2 million Euros plus interest, to 40 British investors. The Courts are making clear that Off-plan property buyers in Spain have an “inalienable right” to have their off-plan deposit underwritten, rights that cannot be waived by banks who, having issued a collective insurance cover failed however to grant individual policies to buyers. This also includes “touristic apartments” as they are to be used by the owners as holiday homes, irrespective of their use as an investment for the most part of the year. Banks have been ordered to pay the Courts the designated amounts, or face enforcement proceedings. These decisions of the Courts have set a precedent that is fully applyable to similar cases with a very solid possibility of success. We are consequently suggesting our clients to take another look at the matter, with views to obtain a compensation in Court for their investment. So, if you are in such a situation, please do not hesitate to contact us. We will be studying your case without compromise. Please note that there may be statuory limitations and deadlines applying to your case. So, do not leave it too long. Fortunately, sometimes, the Law changes for the better.